katinalatrice: Congratulations to the Winners! 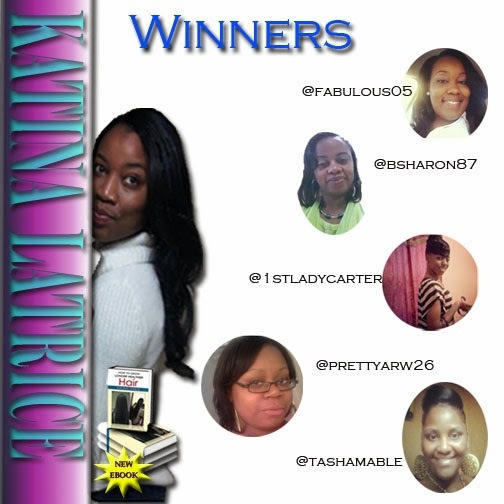 Congratulations to the first 5 to purchase my E-book! I appreciate all of you ladies support. Continue to spread the word. 5 or more referrals get you more FREE prizes! Ladies make sure to email me at katlatpace@gmail.com your ship to addresses so that I can send your BONUS prize. If you haven't purchased your copy of my New E-book "How to grow longer healthier hair", you can do so here.